I am always so taken aback when people tell me the reason they’ve never baked a pie is because they aren’t very good at pastry. I mean, I can relate because I was THAT person at one point in my life. I’ve been there too. 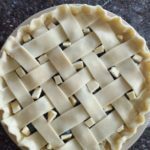 In the end, my love for pie won out over my fear and I began to search for that elusive pie in the sky…a pastry recipe that worked for me EVERY. DAMN. TIME. Not possible you say? Well, I tried sooo many recipes until I found it. You probably know there’s a plethora of pastry recipes out there on the internet and I’m not saying that this one is the one for you. In fact, I encourage you to give as many a try as you can. Who knows? The 7 Up or Vodka Recipe might work for you or maybe you prefer to use your mixer instead of a food processor. I bet you could even find a great recipe for doing it the old fashioned way…by hand! The most important thing is…and I can’t stress this enough is that you give it your best shot. Believe me when I say this, pastry dough can smell your fear. Have confidence and make that pastry behave! This is the pastry recipe I use every time I make a pie. It's easy and comes together quickly in the food processor. Add 1 1/2 cups flour and salt to a food processor. Pulse 2 to 3 times until combined. Scatter butter cubes over flour and process until the flour becomes 'sandy'; maybe 10 seconds. With the processor running, drizzle the water in a little at a time. It might take a while to get the dough to clump together and you may or may not use all of the water. Remove dough from bowl and place in a mound on a clean surface. Cut dough in half then form each half into discs. Wrap each disc with plastic wrap and refrigerate at least 1 hour, and up to 2 days. 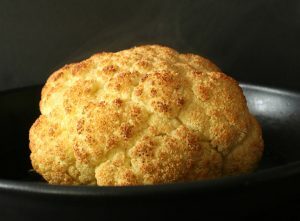 You can also freeze it for up to 3 months (just thaw it overnight in the fridge before using). Before rolling, take pastry out and let sit for ten minutes. Flour your work surface and roll one disk of dough until it reaches your desired thickness. I completely agree we need to try many recipes before we find the one and then practice at that one! I have one of those loved recipes that came to me via my mother-in-law but it’s too flaky to actually make a lattice top. 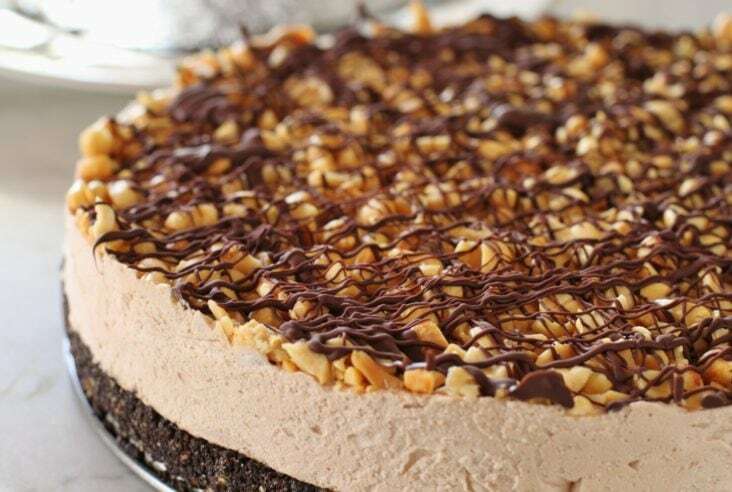 I need to try yours as I love pretty pies! Too flaky is not usually much of a problem is it a traditional ‘by hand’ recipe? Thanks for stopping by Julia! It is so beautiful to see all your gorgeous pies one next to other! They all look amazing and I have a soft spot for pies (and tarts 😉 ). 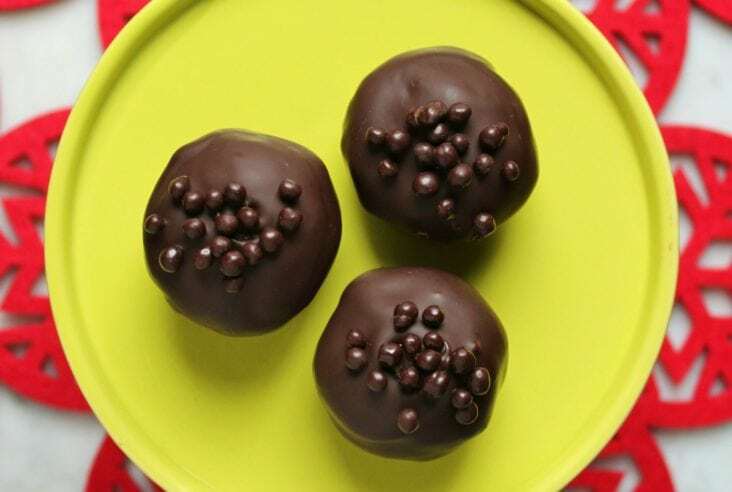 Making them and eating them 🙂 . Beautiful job and still congratulations on the new look of your website. P.s I’ve used both the food processor, the stand mixer, and the old-style bowl and pastry cutter and I have to say I really like the food processor! Yay! Another food processor convert! 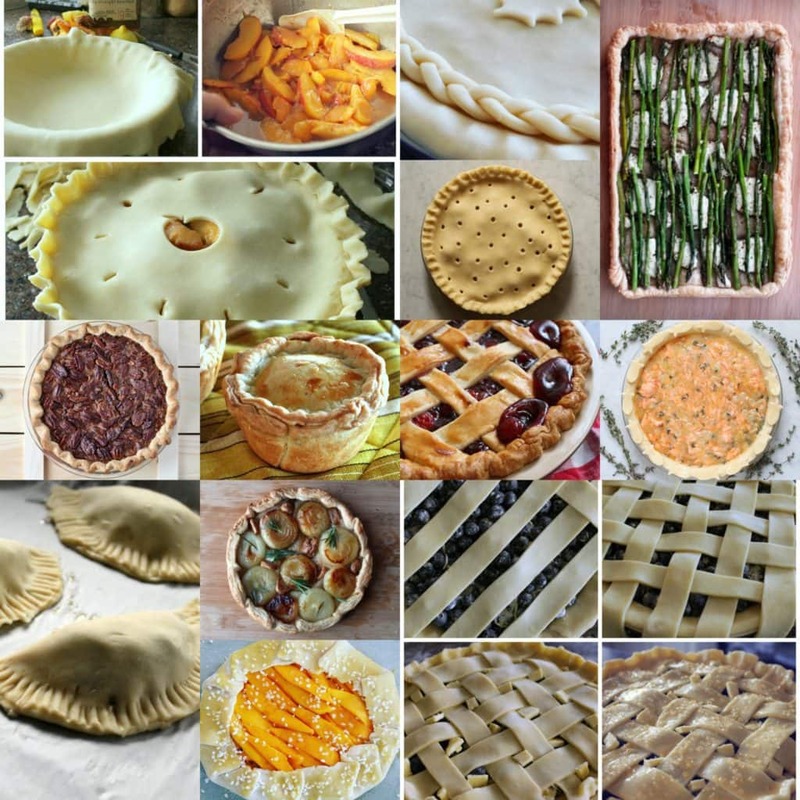 I can never make enough pies…though they all the ones I have made aren’t on this collage either. 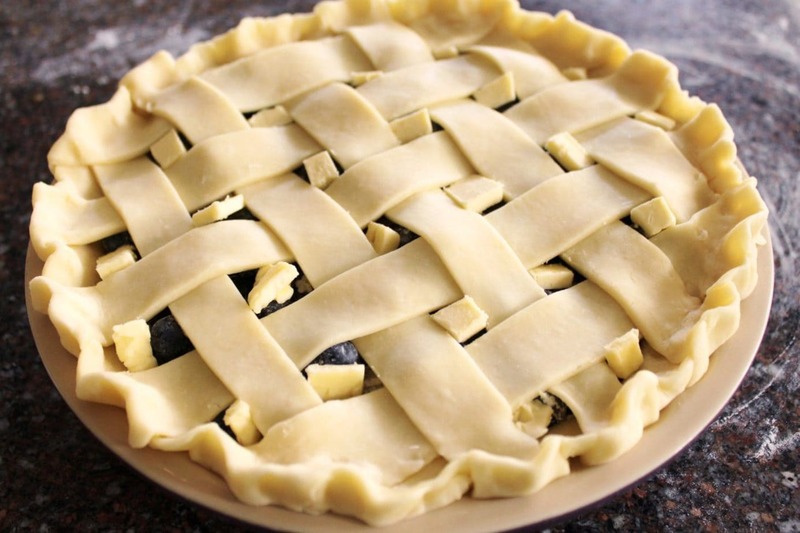 It’s clear my pies need some love in the photography department…so much work these blogs! It’s really not that difficult, you can do it!! I hope you do give it a try Dana. Soon you’ll be baking extra fancy pies…I just know it. Thank you so much Denise…I’ve definitely had my share of pastry disasters! So many…and persistence definitely pays off. Glad to have found another kindred pie spirit! This pastry looks incredible! I love employing modern appliances to get the job done. Way easier than working it by hand! And might I say all your pies looks so damn tasty and gorgeous! You’ve got quite the skill, lady!! yay for modern technology!! I could say ‘wonder what my grandma would think’ but I know she’d be happy I found the easy way out lol.